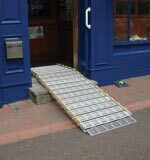 Being semi-permanent, no planning permission is necessary which will also assist service providers in speedily complying with the DDA (Disability Discrimination Act). 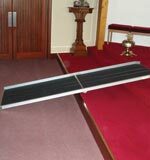 It is quickly installed, can be removed and importantly is reuseable. 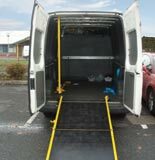 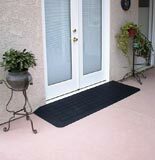 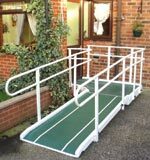 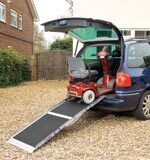 Aluminium modular ramp system designed from modular and adjustable component. 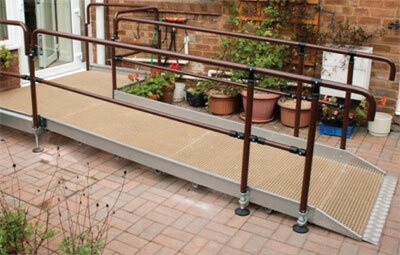 This durable system is easy to select, specify and install and gives endless configurations with a superb end result.